The Gran Festival Flamenco de Barcelona features two different shows Carmen, Carmen, Carmen and Vivir Flamenco. 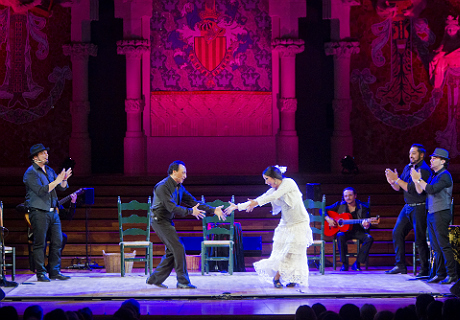 The venue is an historic theatre: the Palau de la Música Catalana is the work of architect Lluís Domènech i Montaner and considered to be one of the finest examples of modernista style in Catalan architecture. 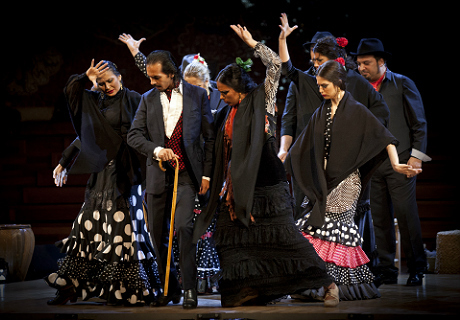 Carmen, Carmen, Carmen: The show is a special production by Tablao Flamenco Cordobes which pays tribute to Carmen Amaya, one of the most important figures of flamenco dance. 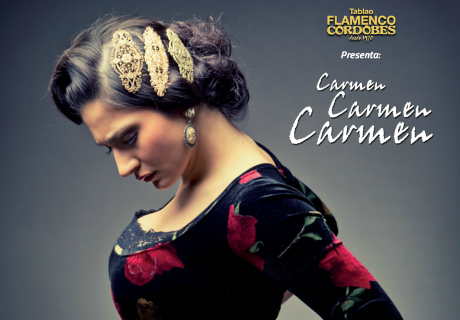 Carmen Amaya was born in the emigrant and gypsy neighbourhood Somorrostro in Barcelona, daughter of dancer ‘La Faraona’ and guitarist ‘El Chino’. 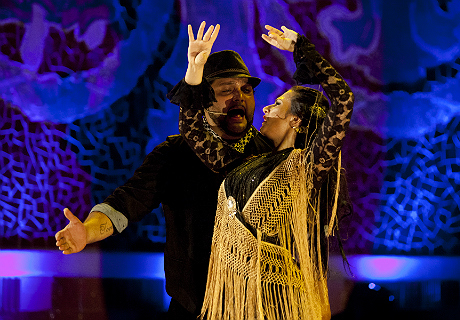 Her style of dance was a metaphor for rebellion, behind it a unique, electrifying rhythm and ethic. She was even ahead of her time when it came to her wardrobe. 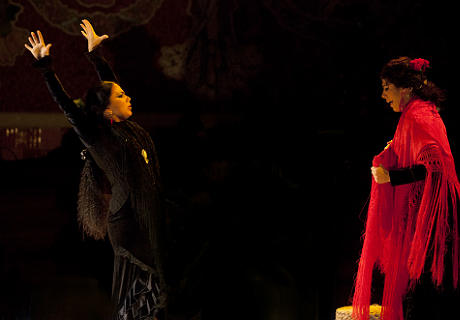 The performance offers three versions of her diverse aesthetic profile featuring several prestigious young dancers. 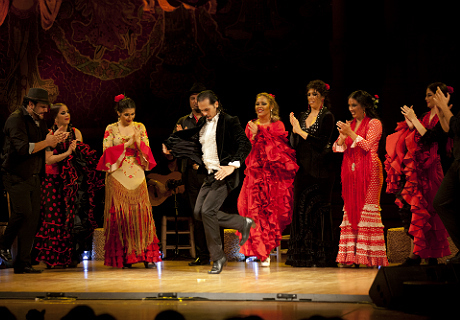 The show is divided in sections: ‘Lejanas Raíces’ (Deep Roots), ‘Carmen y su tiempo’ (Carmen and Her Time) and ‘Lazos flamencos de Andalucía’ (Flamenco connections in Andalusia). 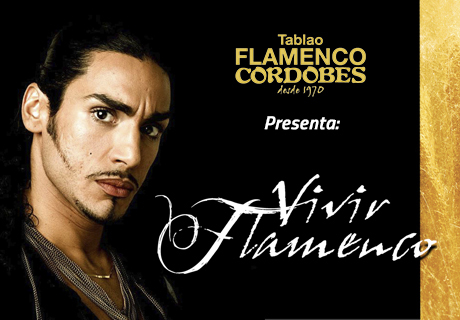 Vivir Flamenco: recreates the gypsy journey upon their arrival in Spain, through the Rhone entering Catalonia in 1425. The black clouds of the fifteenth century, religion as an integrating condition, its gradual integration, and the consolidation of a strong personality idiosyncrasy. 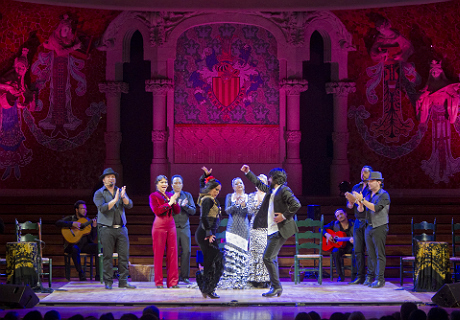 The production focuses on three themes: Ethno-musical fusion that occurs between the Andalusian people and gypsy people in Andalusia during the nineteenth century and consolidated in the twentieth, with an unquestionable social background. 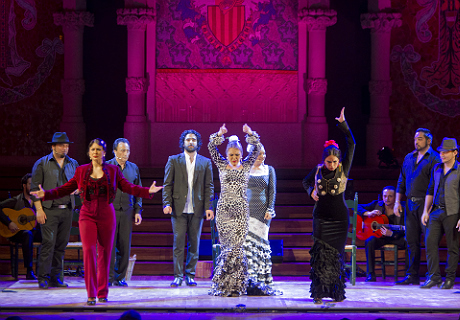 The incorporation of the result of the fusion of flamenco and classical music as inspiration through the Spanish and Catalan musical nationalism. And finally the transversal capacity as a framework for coexistence, to produce aesthetic -flamenco settlements anywhere in the world; example of which Catalunya is a clear representation.